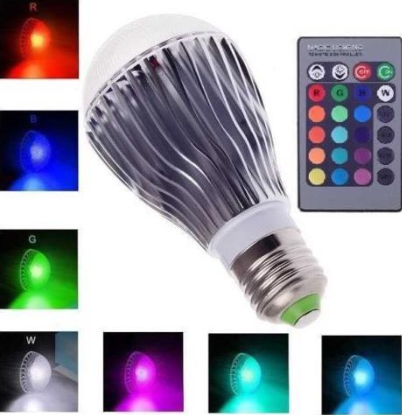 16 Colors Changing 9W E27 RGB LED Light Bulb has more than two million colors and 120 levels of brightness; This item can be adjusted by remote control. It is suitable for the showcase, residential, office, hotel lobby, shop, exhibition room, landscaping, etc. OmaiLighting LED light bulbs are certifications of CE and RoHS.